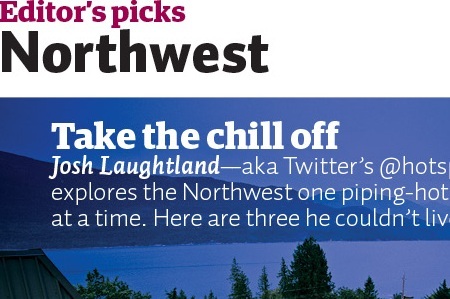 Not for SEO mind you, but for three of his favorite northwest hot springs destinations. Josh runs a couple websites specific to recreation of the geothermal sort (hot springs), which happen to bring in tens of thousands of unique visitors each month. His first geothermal website, IdahoHotSprings.com, started out as a hobby shortly after moving to Boise to attend college at Boise State. It contains years of his personal trip reports besieged from many adventures throughout Idaho and the northwest. Josh has driven, hiked and spent multiple days backpacking through pristine wilderness to reach the Northwest’s most incredible hot springs. He also helps operate CaliHotSprings.com, which features geo-location, interactive maps and detailed information about California’s natural geothermal wonders.